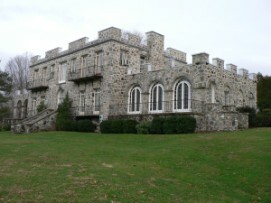 In regards to the castle in Newtown, CT, there is none that I know of. I live in Monroe (a town over) and the castle that someone claims to have found on route 111 is known as Marian Heights and is operated by a group of nuns. Just so there's no confusion, this is in Monroe, CT, not in Newtown. Back to "Castles of the United States"